How to Convert MP4 to Play on PS3? When Sony launched its PS series devices, it probably never thought that it would cause so many troubles to users when PS3 could not play MP4. To be honest, some MP4 is compatible with PS3 but some just fail because PS3 only support videos in MPEG-4 SP (Simple Profile) and audios in AAC LC (Low Complexity) format. If your MP4 files come from other sources, it should meet this requirement –video in H.264/AVC HP (High Profile) and audio in AAC LC (Low Complexity) format. PS3 was developed for entertainment but it turned out to be so annoying when users learned that PS3 failed to play MP4. Just imagine that on a rosy weekend night, you prepare some snacks, some wine, and some holiday mood for an exciting game/movie, turn on your PS3, find your favorite game/movie, but the moment you open the file, notifications like “Oops, the format is not supported” pop up and cool every bit of holiday mood down. This should be the most disappointing moment for PS3 players. Luckily, PS3 does play MP4 if you know how to convert MP4 to play on PS3. All you need is an MP4 to PS3 converter. Before kicking off, let’s get some basic understanding for PS3. The PlayStation 3 (PS3) is a home video game console developed by Sony Interactive Entertainment. It is the successor to PlayStation 2, and is part of the PlayStation brand of consoles. It was first released on November 11, 2006, in Japan. 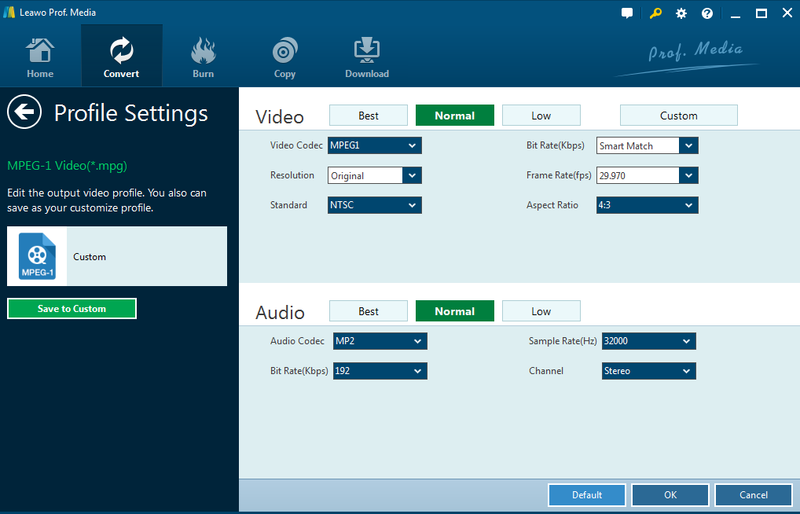 It not only supports physical disc media such as region A Blu-ray discs, but also supports files in digital formats like MPEG-1, MPEG-2 PS and MPEG-2 TS, Memory Stick, AVI and MP4. PS3 has been so popular since its release that players often spend hours a day on it. One pending problem is that sometimes PS3 cannot play MP4. If the file formats that you are going to stream or play on PS3 do not meet the standard listed above, you can use a third-party media conversion tool such as Online Video Converter to rip unsupported file formats such as ISO, AVI, MP4, MKV, VOB, MTS, H.265, etc to PS3 supported file formats listed above for playing with best results. In the following, I will show you how to convert MP4 to PS3 compatible formats using an extremely fast online video converter. Step 1. Browse OnlineVideoConverter and upload your MP4 file. Step 2. Select the PS3 compatible formats such as MPEG. Note: Click the Settings button to personalize the codec and output size. Step 3. Click Convert to start changing MP4 to PS3 compatible format. This online video converter supports more than 300 formats and takes less time than some other converters to convert MP4 to PS3 compatible format. However, a big problem is that users have to upload their MP4 files and download to PS3, which brings privacy leakage threatening to users. To avoid this problem, I will recommend another converter for you in the following section. As a leading video converter provider, Leawo develops a fast and easy video converter to help users to convert files between all popular formats like FLV, AVI, MP4, MOV, MP3, AAC, FLAC, MPEG etc. This all-in-one software is an amazing converter which not only enables users to convert between tons of formats, but also offers powerful editing features like trim, crop, effect, watermark to edit videos. The process for playing MP4 on PS3 is pretty simple and easy. Step 1. 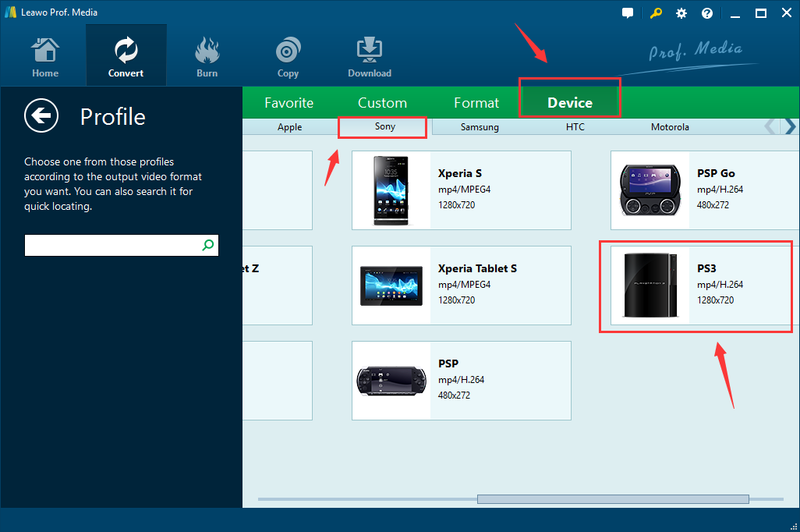 Download and install Leawo Video Converter by clicking the following download buttons. Step 2. 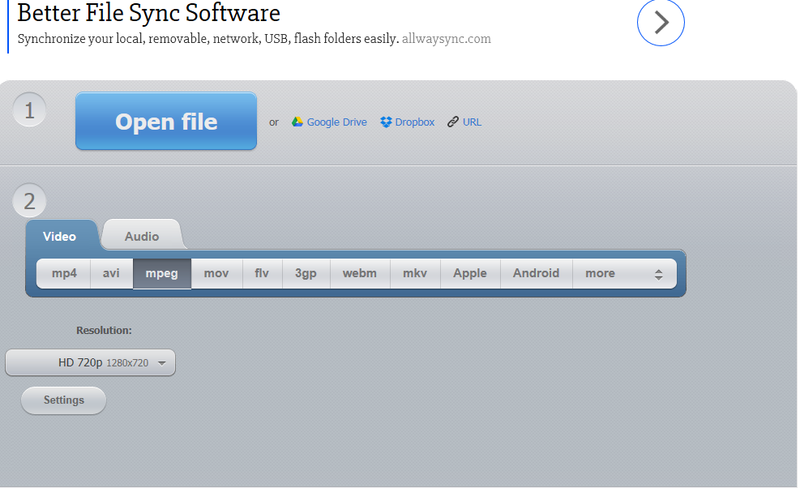 Drag MP4 or click Add Video/Add Video Folder to put MP4 files to the main interface. 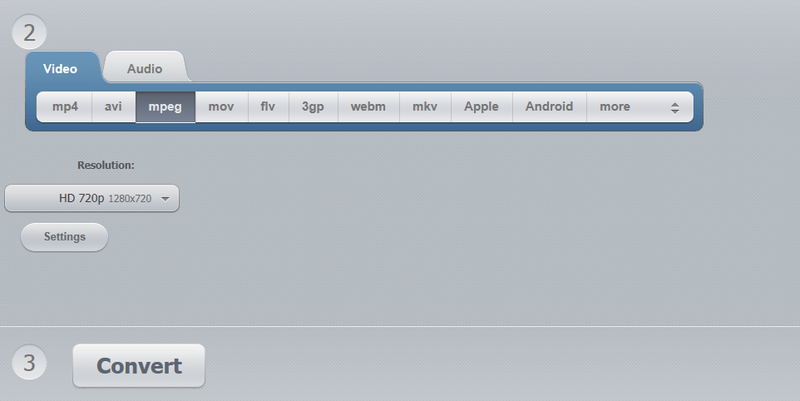 Step 3: Click Change on the drop-down interface to change MP4 to PS3 compatible formats. Here we go for MPEG-1 as an example. Step 4. Step 4. Or choose “Device > Sony > PS3″ to set output as “PS3″ directly. Step 5. Click Edit to customize the video by setting parameters such as video codec, resolution, bit rate, frame rate, etc. Step 6. Click the green button Convert. Keep in mind that you can set the directory to save the converted file. The highlight of this video converter is that you don’t need to worry about the privacy leakage because all you have done is on your computer and no uploading/downloading of files is required. The other good point is that it offers so many editing features that users are welcome to personalize their own videos. Now the problem of “does PS3 support MP4 files” has been solved thanks to so many advanced converters and apps. As far as I am concerned, Leawo turns out to be a better option because I don’t need to worry about privacy leakage and I can have more options to edit my videos using its built-in editing features. I am impatient to wait when I use other converters but I feel quite comfortable when using Leawo converter because the conversion speed is extremely fast and I can convert MP4 to PS3 compatible formats in batches.